It's time. You've experimented with apps from the Play Store, you've switched your lock screen, and maybe you've taken different launchers out for a spin. If, throughout your tinkering, you've found yourself chanting, "More. More. Give me more!" then now is the time. It's time to root. Rooting opens up a new realm of possibilities for your device. With a rooted device, you can install apps from Google Play that allow for even deeper customization. For example, apps like Hola let you unlock Netflix's full video catalog, and Rec. lets you record video of your screen. You can also flash custom ROMs (operating systems) like AOKP and Firefox OS that can completely change your Android experience, as well as install two totally different systems, and even mods like the LG G2 home launcher. If you've ever wondered how you can change the GPS icon in your status bar or add swipe gestures to the home screen, this is how you do it. The big 'R' word can be intimidating for first timers, but don't let it be! Rooting can be easy, and on a Nexus, it's even easier. Stick around and I'll show you how you can root your N5 with a quick download that does all the hard work for you. And don't worry, if you ever find out you don't like having a rooted device, unrooting your Nexus 5 is fairly easy. On your Nexus head to Settings -> Developer options, then check the box marked USB debugging, which will allow your Windows PC to issue commands to your device. If you don't see the Developer Options section, you're going to have to go to the About phone section in the Settings menu, scroll to the bottom, and tap on Build number repeatedly until you unlock it. We're going to use Android developer Chainfire's rooting tool CF-Auto-Root, which will do most of the heavy lifting for us. Take your computer's web browser to this link and download the .zip file from the bottom of the page. Extract the .zip file using an extractor like WinZip or WinRar. It's best to create a new folder for the files you're going to extract and extract them there. Power down your N5 then boot into bootloader/fastboot mode by holding in the Volume Down and Power key at the same time. You should see a black screen with a picture of the Android mascot on his back. Connect your device to your PC with a micro USB cable. Now navigate to the folder where you unzipped the CF-Auto-Root file. While within the the folder, hold down the Shift key, right-click, then select Open command window here. The command window will guide you the rest of the way. 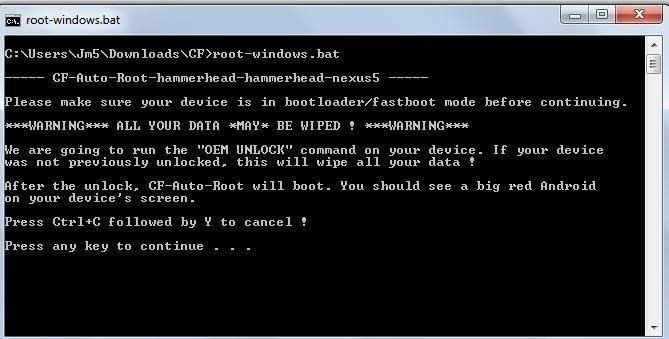 It will first attempt to unlock your bootloader, a necessary step for rooting. Be warned: if your bootloader is not already unlocked, this process will erase all the data on your device, essentially leaving you with the original factory settings. 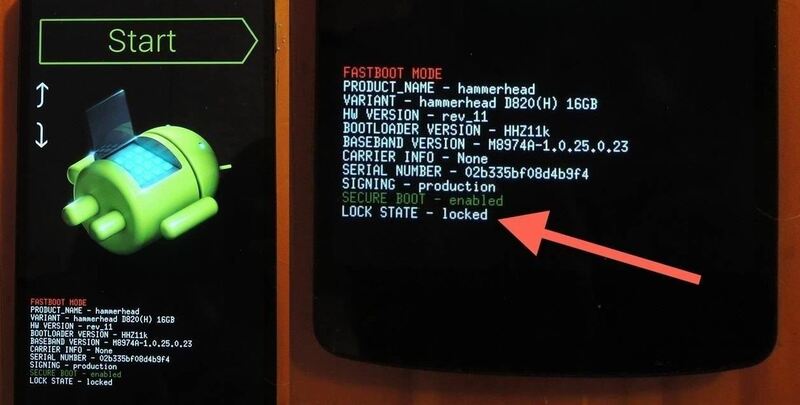 If you're not sure if your bootloader is locked or unlocked, simply take a look at your device. At the bottom it will either read: Lock State - Unlocked or Lock State - Locked. If you want to unlock your bootloader before continuing, check out my guide before moving forward. Once you issue the command, all that's left to do is sit and watch the magic happen. Your phone will reboot with a red Android logo. Congratulations and welcome aboard. You are now rooted. You can now download root-only apps as well as custom recoveries that you can use to customize your device beyond your wildest dreams. Check back soon for easy tutorials and for the fun to really begin. The most common issue folks have is that the root-windows.bat command fails. If you run into this, it's most likely the result of not having the proper fastboot drivers for your N5. You could try installing the Universal Naked Driver; the latest one being Universal_Naked_Driver_0.73.zip. If you're having any problems, let me hear about it in the comments and I'll do my best to lend a hand. just says "waiting for device"
Did you make sure to enable "USB Debugging"? For everyone with the problem "waiting for device" the solution is as followed. and download the Google USB Driver. You need to install it manually. Go to "Device Manager" and then to the subfolder "other devices" there probably will be a small, yellow exclamation mark next to your Android device. My device was simply called "Android". Select your device and go to its properties. Go update or install driver and then press "Browse my Computer for driver software" select your download folder. Make sure you un-zip the file first. got it...man ...atlast solution to my probs..
You're lifesaver man. This info should be in the tutorial near the top as a lot of ppl are having this issue...including me. Installed the Google USB Driver for my GNex5 and bam!...unlocked bootloader and then root like a charm. Thank you so much...was scratching my head for an hour thinking it was my PC's USB driver causing the issue. OK, that helps. It sounds like it's an issue with the drivers. So, download the Nexus Toolkit here, then use that you install the drivers (you can use it to root as well). When first opening the app, you will see an option to install drivers. Click that and follow along, and definitely let me know if you're having any issues. Will you please explain the Uses of rooting?? Rooting allows you to use apps that only work with rooted devices. A lot of these apps do some really cool stuff that you'd miss out on without it. Rooting also lets you install custom ROMS that can entirely change the look and feel of your phone. You could run a ROM that mimics an iPhone! I've use my Nexus since i bought it. Will I lost any data or settings if I root with your guide? You won't lose any data unless you're bootloader is locked. Rooting requires unlocking your bootloader which will do the equivalent of a factory reset. You could always back everything up before proceeding though. is there way to unroot this? im used to using Huawei Ascend mate rooted one. You can absolutely always go back to factory settings and deroot very easily. Mate it doenst help..i was also stucked on the same part as which says "waiting for device" i downloaded and installed nexux tool kit..updated its all components and yet I am stucked at the same place. "waiting for device"
Hi, thanks for the howto. Is there a way to root with just a chromebook? I'm stuck at the end of step 2 of the toolkit driver config guide. It's making all the right noises & says my device has been installed & ready to use but it isn't listed in explorer (my computer). If i left-click on the remove hardware icon (as if you might to remove a usb stick) it says safely remove goggle nexus adb interface. I went back & did it the cmd way & this time it worked. Can i do this without unlocking the bootloader? I understand it will erase all data but will it still execute as intended, or must the bootloader be unlocked first for it to go smoothly? Hey, I recently tried to root my phone and followed a different set of instructions from a youtue video. My lock state switched from locked to unclocked,the phone did everything it was supposed to do after being rooted such as restarting ect. but the phone is not rooted. I used 2 root checkers to check and both say it's unroofed. What should I do? Can the phone still be rooted? PLEASE email me at lancetkw@yahoo.com to help! Thanks a lot!! Nothing seems to be happening. Did download everything as requested and still stuck at "Waiting for device". Does it restore the phone? The only reason people are having problems is that they are not reading & following the instructions carefully! NONE of these tips, steps etc. worked for me I'm ready to just get another phone that will do what want it to, just wish I was told before I bought the phone that it's BASIC! Hi! I tried rooting my nexus 5. Saw the red mascot and everything but could not pass the root check with the root checker pro and the basic app. Also other back up apps fail to get root access as they load forever without getting anywhere and have to be forced shut at some point. Please help!! So I bought a Nexus 5 from someone off Craigslist. Only to find out that is Sim locked. What doi do now? I've contacted T-Mobile...they won't give the code.. I've rooted the phone...any help or tips? 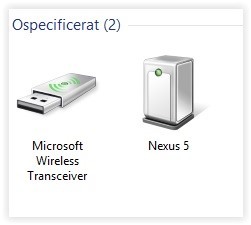 I was able to install the driver from XDA.. and device manager shows now Nexus 5 (without the exclamation) yet, I still get "waiting for device" .... Im on Windows 8 if that makes a difference. I rooted my N5 several weeks ago using this guide with no problems. Yesterday, I've upgraded my phone to the latest Kitkat 4.4.3 using the factory image but without wiping my phone. Since the upgrade It seem my phone is not rooted anymore (the superSU app doesn't work). I've tried to root again using the same method. Every thing looked fine (the red android appeared the the command seemed to run) but nothing happened except my phone was caching the apps again. Thanks!... I also got stuck at the < waiting for device > message. But then I read the comments and found out it was a driver issue (a bit tricky for me though) but that solved the problem... BTW, I used the driver downloaded from the google link in the comments, the one at the bottom of the post didn't do it for me. PS: I got the 4.4.3 update a couple of days ago, and I was worried that I was going to lose it given the "factory reset" coming from the bootloader unlock process, but it did a very clean job. It kept the 4.4.3 and it even kept my wallpaper picture and restored all my apps. I only lost a couple of settings from a few apps. My nexus 5 phone's battery span is very low . Is there any way to get a better charge span????
. . . FAILED <remote: Already Unlocked. It has been like this for just over 20 minutes. My phone is on the start screen with the green android icon, as it has been from the beginning. It does say the LOCK STATE = unlocked. If i try to use the volume buttons or power button, nothing happens. I have not tried holding down these buttons for fear of breaking something. I am not sure if I should just give it more time or what? Any tips? Phone restarts but is not rooted. No superuser app and could not pass the root check with the root checker. Can someone please, please help asap!!!!!! I have the same problem. Done it all but a root app says that this device does not have proper root access. Same problem here as well! Please help. Great post. Really love the site. Thank you! This is really a good post. Is this ok with android 4.4.4? Hey guys, Tried this out. Works. But now, my battery stats are messed up. There is no screen time showing? I followed this guide and my Nexus 5 is now rooted. But now i can't find my phone in Windows Explorer. The pc detects the device and i have installed the driver (and reinstalled it like 10 times) . But the phone is just detected as an unspecified device and not as a phone or MTP. What can i do??!! will i need to back up apps before rooting ? After root mu Nexus 5, i´m facing some problems related with timezone. My phone is automatically using Pacific Time but i'm in Brazil (Brasilia GMT -3). Every time I set the timezone to automatic the time the phone assumes pacific time zone. Could you helo me please? Yes it wiped all my data, as he said it would! Oh men...the process successfully rooted up my n5 but after rebooting it stuck in bootlooping...what should i do...my device was running in android m preview and was installed using nexus toolkit. what might went wrong?..thanks. I first unlocked the bootloader of my nexus 5 (with android 6.0), and than after a few days I tried to root it. But when I followed the exact steps in this tutorial, it goes into a bootloop. It keeps getting stuck in the boot animation, even after 1 hour or so. Can someone please help? Help please!! I typed "root-windows.bat" and followed what the screen showed, but since then my phone no longer starts (it seems to be keeping loading, but nothing happens...) Anyone? this still the problem? iv got the same thing happening. tried this walkthrough, phone is stuck in a boot loop. I think the files are not compatible with the current android update (marshmellow I think). I do not recomend using this. I followed the procedure without enabling the USB debugging.. My phone doesn't turn on... Solution?? I have tried this. Followed all instructions on command window. After whole procedure with red android, device then got boot. But when i am checking the Root. It seems it does not get rooted. Done the whole procedure 4 times already. But it does not get rooted. I am using Nexus 5 2013, having Andriod 6.0.1. Tried above procedure. After issuing batch command waited for 4 hours nothing happened. Ultimately I canceled the command. Please suggest if I missed anything. I want to enable LTE band 3 and 8 on my mobile which is not supported in D820 model. Attention: following these steps will NOT root your device. You will wipe your phone, and perhaps crippling some functions. THank you! My first time rooting a phone and it went smoothly. 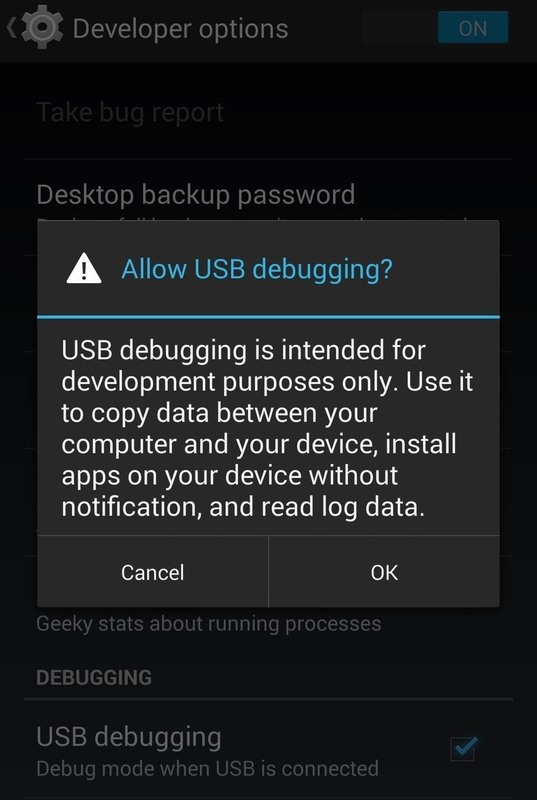 I did need to remember to select USB debugging in the Developer Options on my phone and also update my driver with that Google USB driver you mentioned at the bottom of the post. I rooted this from Marshmallow 6.0.1 with no problems.